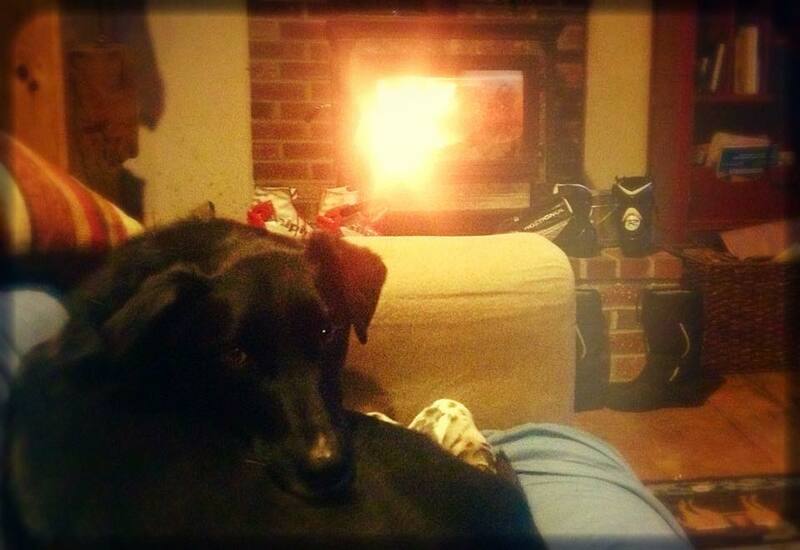 My dog Dragon and I sat nestled by the woodstove on the couch one late fall evening on the week before the solstice, listening to a fresh access of wind that caught against the house a moment. I had put off (I would say we, but that would make Dragon equally culpable in my procrastination…) the day’s run, waiting for the gray sky to lighten before the winter evening begins to settle down. The weather chose, though, not to abate, and, soaked with day’s heavy rain, it turned the trails into sluices running with slush. So I added a headlamp to my rainproof coat, gaiters, and microspikes, and we set off into the winter dark. Once we started out and stepped off the short stretch of gravel road leading into fallow pasture and up a hillside of second and third growth forests, what little light there was sloughed off and pooled in the valley behind us. Apart from our resident turkeys and a handful of deer, our’s were the only prints in the wet snow. It was dark and wet and wild. No doubt everyone has weathered the oppressive weight of many days of rain on end. And even if the rain, as it occasionally can for me, persists within despite the sunny weather outside, sometimes there is nothing better than to get kitted out and charge into the rain soaked night–avant moi, le deluge!